Every day thousands of consumers go to Under Armour’s website and click “buy” on a T-shirt or a pair of running shoes, transactions that total an estimated $500 million a year. To those customers it may seem as if their transactions are processed instantly. But in that half-second or less, Under Armour, with the help of a Seattle-based tech company called Whitepages, makes the decision whether to trust the consumer and complete the sale. Under Armour is just one of more than 2,000 businesses, including Wells Fargo, Saks and American Airlines, that rely on Whitepages’ subscription-based service, Whitepages Pro, to assess millions of transactions each day. Is a buyer trying to pass off a fraudulent credit card? Or using a prepaid phone card and shipping to a Mail Boxes Etc., a red flag for fraud? As businesses crank up their online sales–and consumers move to mobile phones, which are tougher to connect to real addresses–the database that Whitepages began building nearly 20 years ago as a simple online phone directory has become increasingly valuable. 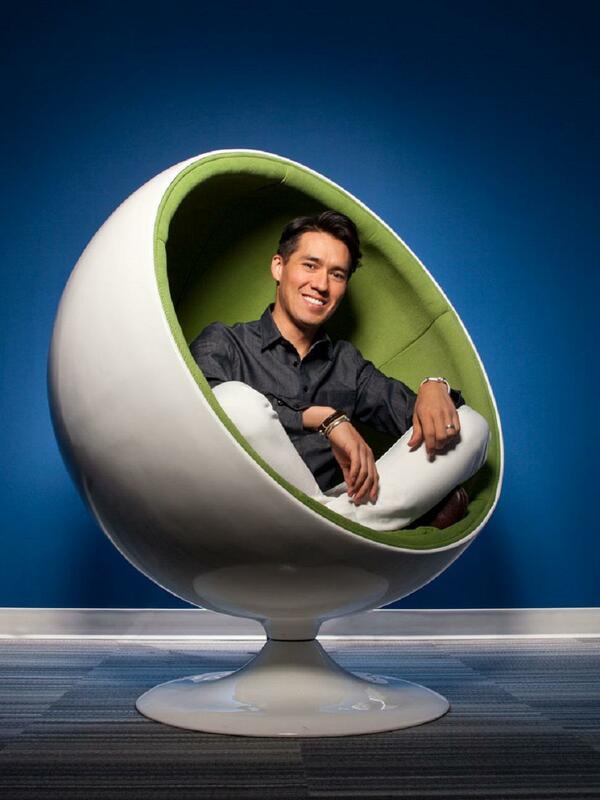 It has taken most of those 20 years for Alex Algard, Whitepages’ 42-year-old founder and CEO, to transform what started as a side hustle into a real business with $70 million in revenue last year. That transition required guts and a steadfast belief in the business. In 2010 the company’s two biggest clients cut back, its revenues plunged, and its investors decided they wanted out. “I was dreading going to board meetings,” Algard says. “We were fighting about whether to invest in the business. It was a very painful process.” And there was no guarantee the business would survive. The son of a Swedish father and a Korean mother, Algard was born in Stockholm, moved to Vancouver as a teenager and studied economics and engineering at Stanford. During the dot-com boom, he landed an internship with Morgan Stanley in Silicon Valley. While there, in 1996, he had an idea for an online directory and thought to call it Whitepages.com after the soon-to-be-obsolete phone book. When he typed in the URL, he saw a “coming soon” notice, so he contacted its owner and flew to Los Angeles to negotiate the purchase, paying just $900. After graduation Algard took a job as a junior analyst at Goldman Sachs in New York, tinkering with the online phone directory in his limited free time. In those days, before the advent of open-source technology and cloud-based software, building a database of phone numbers would have been prohibitively expensive, so he wrote some code that pulled data from American Business Information (now part of Infogroup) in real time. It cost just $5,000 a year in licensing fees and allowed users to search nationally rather than having to go state by state. Whitepages quickly became a cash cow. Consumers could save on directory-assistance charges by looking up numbers online, and advertising followed. An early win came from deals that rewarded Whitepages.com generously for forwarding searches for local businesses to Yellowpages.com and Superpages.com. The contracts produced $15 million a year by 2005, and those results attracted investors. The deal left Algard with the task of turning Whitepages into a sustainable business. Now fully engaged, he shifted the company’s business model, culminating this year with turning off the advertising on the consumer side–Whitepages’ primary source of revenue–and switching to a subscription model. For a monthly fee of up to $29.95, users can get details on anyone they’re trying to find, including mobile numbers and bankruptcy records. For business users, Algard created Whitepages Pro. “It keeps our fraud rates low, which is really, really important for our business,” says Matt Oppenheimer, CEO of currency-transfer startup Remitly. Algard’s early insight was to link people’s identities to their mobile phones rather than to their landlines and to work the data into an “identity graph” that ties together phone numbers, addresses, e-mail addresses, social networking profiles and the like. He has also spun off a division that uses the phone data to identify mobile-phone spammers. Called Hiya, the spin-off has deals with T-Mobile and Samsung. Next articleHow Fast Does a SaaS Startup Have to Grow to Survive?